Statistics at the close of 2014 indicate the Riviera Nayarit social media accounts showed an overall increase; the benefit is holistic as both the destination and the consumer benefitted. 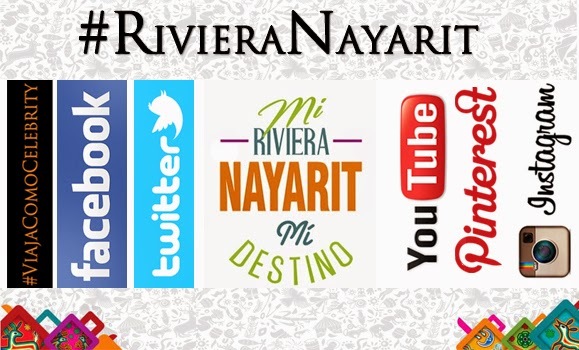 The Riviera Nayarit Convention and Visitors Bureau’s Marketing Department implemented several strategies over 2014 in order to increase exposure on social media and grow sales via the websites, as well as position the destination and incentivize consumers with promotions; all of these efforts were successful. Different seasonal promos were disseminated via the e-marketing department on the websites offering special pricing for the consumer, which increased sales 18% over 2013. The department held three Twitter Parties generating nearly 40,000 tweets, over 184 thousand retweets and a reach of more than 131 million impressions. They also held a Facebook contest that resulted in over 24 million impressions. During the course of the year they launched 26 Facebook campaigns, generating over 9 million impressions and adding approximately 10 thousand new fans. This was in addition to the organic results, in other words: results obtained without any campaigns. The numbers don’t lie and are available for all to see. Highlights include our Spanish-language Facebook page where there was a 666% increase in fans, while the English-language page grew 486%. Twitter followers grew by 58% in the Spanish-language account and 66% in the English-language one. The YouTube account had 240 thousand views, an increase of 110%. All the percentages indicate growth for 2014 over 2013. Other social media accounts were also opened in 2014 including Pinterest and Instagram, both of which are being grown according to user preference; they have been diversifying the direct contact options between the destination and its visitors. All the e-marketing efforts have produced multilateral benefits that wouldn’t have been possible if not for the Riviera Nayarit Social Media Club, composed of local hotels and service providers. This CVB is grateful for their unconditional support and most of all for agreeing to join us in our dream of working together in favor of the people of Nayarit.